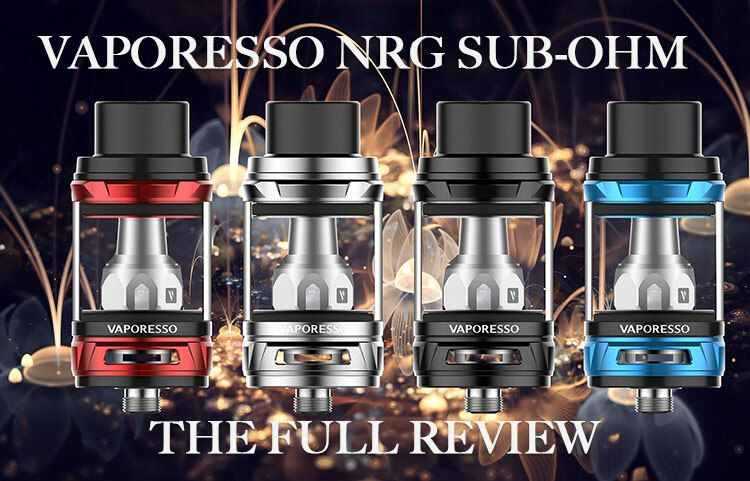 The Vaporesso NRG Sub-Ohm Tank is the latest “flagship” Sub-Ohm Tank from Vaporesso, featuring some 5mL juice capacity, a Slide-n-Fill top-fill design that functions better than SMOK’s own hinge-pull top-fill of their TFV8 and TFV12 Tanks, plus a mesh drip tip that stops any potential spit back, and dual bottom airflow controls. 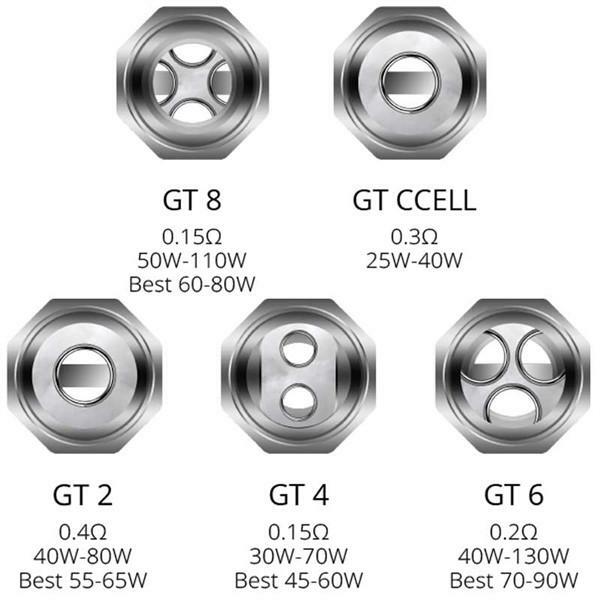 Lastly, with the NRG Sub-Ohm, Vaporesso introduces their best coil heads yet, the GT Cores. 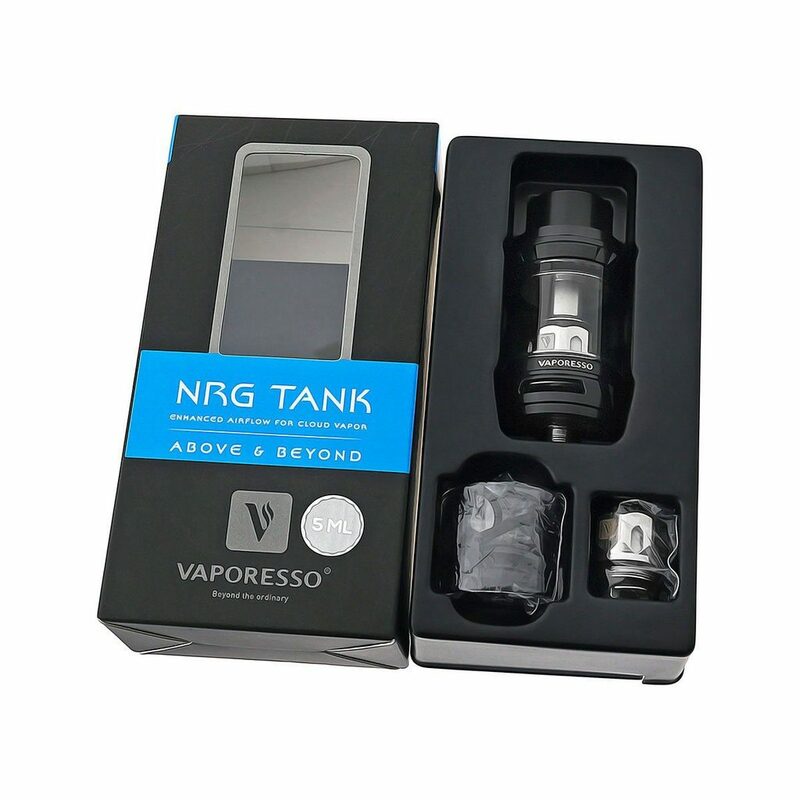 The Vaporesso NRG Sub-Ohm Tank is, in my opinion anyway, a beautifully constructed tank with current lines and some very precise machining. 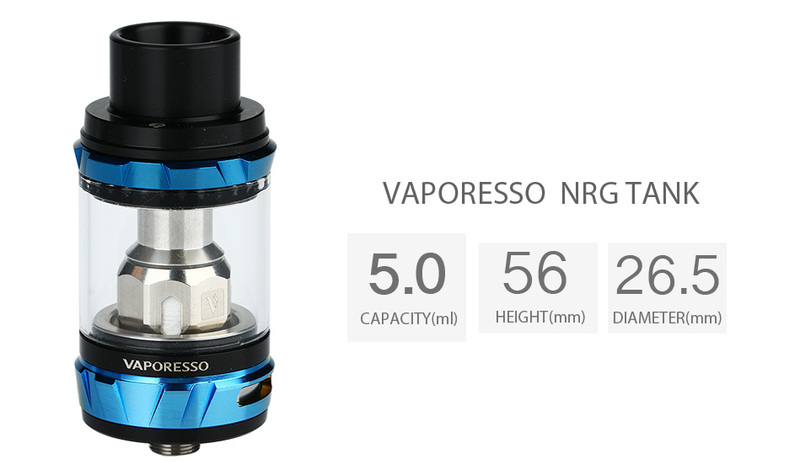 The NRG measures 26.5mm in its base diameter, which fits nicely with the Revenger Box Mod, but you’ll need to make sure your current mod can handle the wider than normal tank diameter. With an e-juice capacity of 5 mL’s, vaping in the higher wattage ranges will still allow ample vape time between refills. Unlike many other Sub-Ohm Tank refill system, the NRG Slide-n-Fill design makes refills not only convenient, but fast… even with MaxVG eliquids. The real magic with the NRG Sub-Ohm Tank performance happens within the GT Cores. 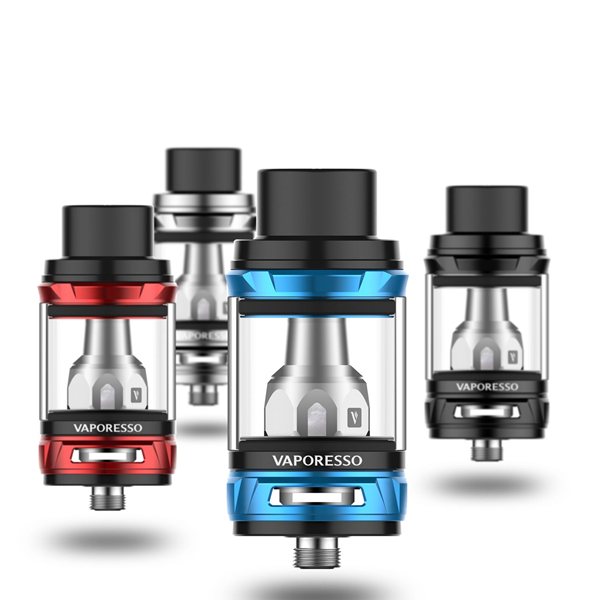 Vaporesso has released a wide range of coil options; including a traditional cotton and their “signature” cCell Ceramic configuration (the ceramic replacement coils are, unfortunately, 50% higher in cost, $15.99 for 3x pack). Using Kanthal wire in all the current coils, users won’t have much use for the Temperature Control suites in the TC-enabled mods, but the Kanthal and Ceramics makes for superior flavor performance and top-notch cloud production anyway. 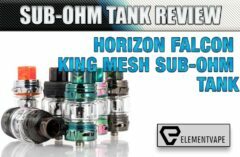 What’s in the NRG Sub-Ohm Tank Package? A 0.15-ohm GT 4 Core with a range of 30 to 70W, along with a 0.4-ohm GT 2 Core with a range of 40 to 80W. When I purchased a few extra NRG tanks I went ahead and purchased a dozen packs of the 0.4-ohm GT 2 Core and a dozen packs of the 0.15-ohm GT 4. Even after using both coil heads for many days, I’m still torn between the performance of each one. Speaking as plainly as I can, both the GT 4 and GT 2 produce wonderful flavor and enormous clouds. All without exceeding 90W! 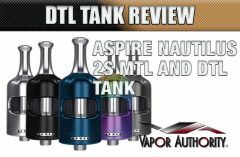 Some users might find this part of the review a bit boring, but you should have some knowledge of how and why these Coils, and the Tank itself, work as well as they do. 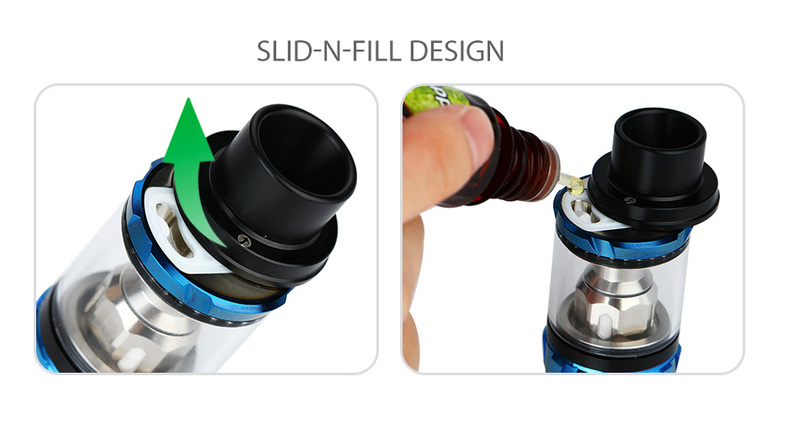 With each pull on the wide-bore drip tip the Airflow enters the coil structure through the two massive air slots located at the base of the NRG tank. 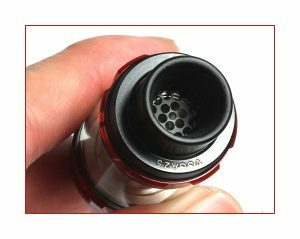 These airflow ports are easily adjustable for precisely the “vape” experience you want. 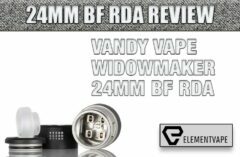 Wide open airflow allows for a higher wattage without burning the coils, and provides maximum clouds, and closing off the airflow slows the air intake, causing a stiffer pull, a more concentrated flavor, and somewhat less vapor. The important thing to remember about setting the preferences with the NRG airflow and air slots is that with these large air slots there is versatility in performance, and an easy cooling with higher wattage with wide open airflow. Not but that least is the integration of this new mesh drip tip that prevents spit back while still maintaining its high-level of flavor and vapor production. Just a year ago or so there was a lot of talk about high performance Sub-Ohms causing all kinds of spit back troubles, but since then even typing the words ‘spit back’ seems foreign. In any case, with the Vaporesso NRG Sub-Ohm I’ve not experienced spit back at all. 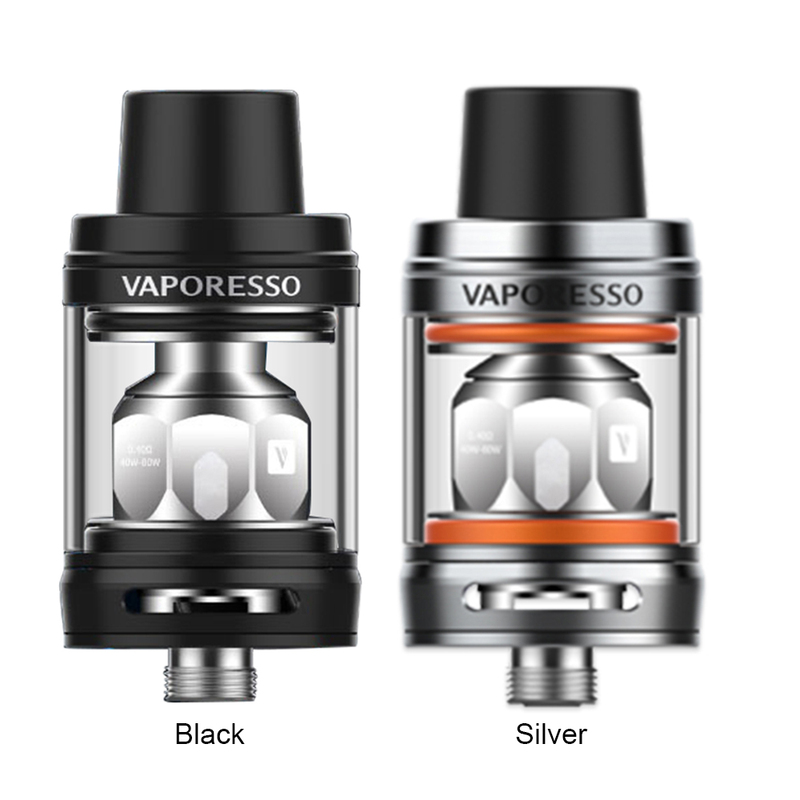 The Vaporesso NRG Sub-Ohm is constructed with a complement of top-end materials with specific properties and a vigorous GT atomizer core. 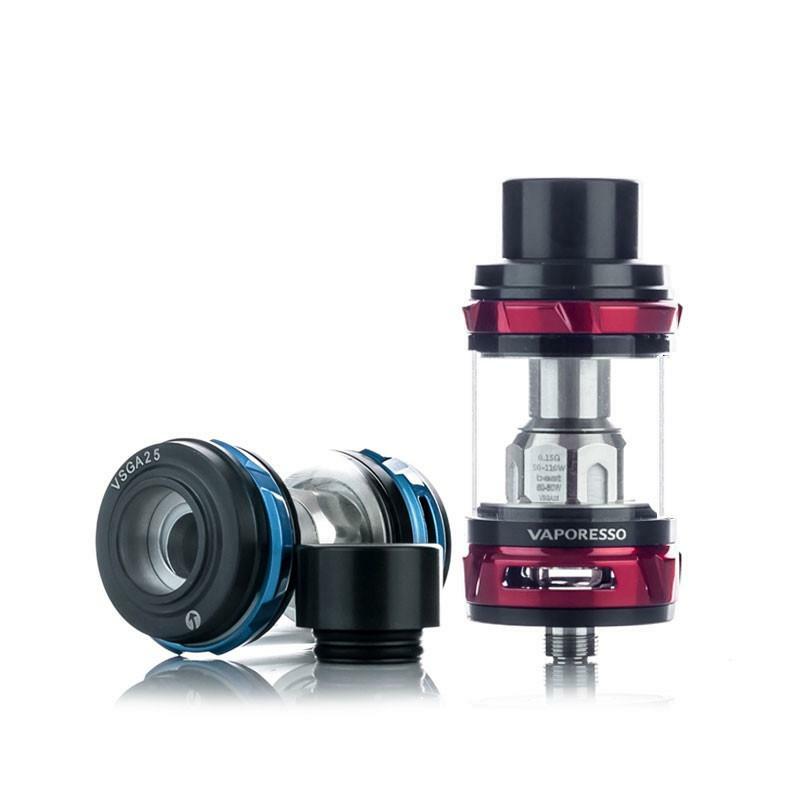 The Vaporesso NRG Sub-Ohm Tank is one phenomenal mid-wattage Sub-Ohm platform.